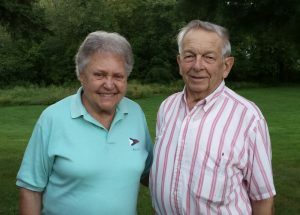 Married in Amherst, MA in 1948, Arthur and Marilyn Barstow will celebrate their 70th wedding anniversary on June 12, 2018. Arthur is from Hadley, MA and Marilyn (nee Moser) is from Amherst. Together they have four children. Known to their many family members and friends as Art and Lynn, the happy couple resides at East Village Place in East Longmeadow, MA.